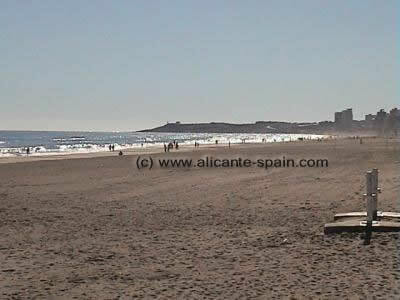 View from the beach of San Juan at the Cabo de las Huertas of Alicante. Further Costa Blanca areas of interest are covered on the Costa Blanca camping site. Covering details about campsites and tourist hotspots from the southern costa blanca area. Starting in Alicante down to Guardamar, Santa Pola, to La Marina and Torrevieja.